Last week I helped host a baby shower! It was so much fun, I need more people to throw fun parties for! When I first recruited myself to co-host this thing, all I knew is that felt garland and candy needed to be involved. Abi made the cupcakes and I made the red velvet cake balls. I also came armed with cute little suckers to stick into everything, including the perfectly frosted cupcakes, while Abi's back was turned. It was dark when I took these pictures and I was extremely rushed, so the rest of the food will just have to remain a mystery. But lets face it, dessert is the most important part anyway. So... go ahead, drool on! That is so cute! Great photos, everything looks so pretty. beautiful! you did an amazing job. way too cute! looks so yummy :-) must have been one happy mommy to be! everything looks to incredible and pretty to eat! i'd love to try making those red velvet balls..
oh my. those pink things look amazing. ps. i need your address to mail you your giveaway winnings. It looks so good! If this is what baby showers look like, I think we need to import them to the UK. WOW!!! These look amazing!! Seriously straight out of a magazine! i love the garland! so cute! and those cupcakes and cake balls look yummy! aaa,this is such a fairytale !!!beautiful! but now i am staaaaaarving! Wow this is so lovely! 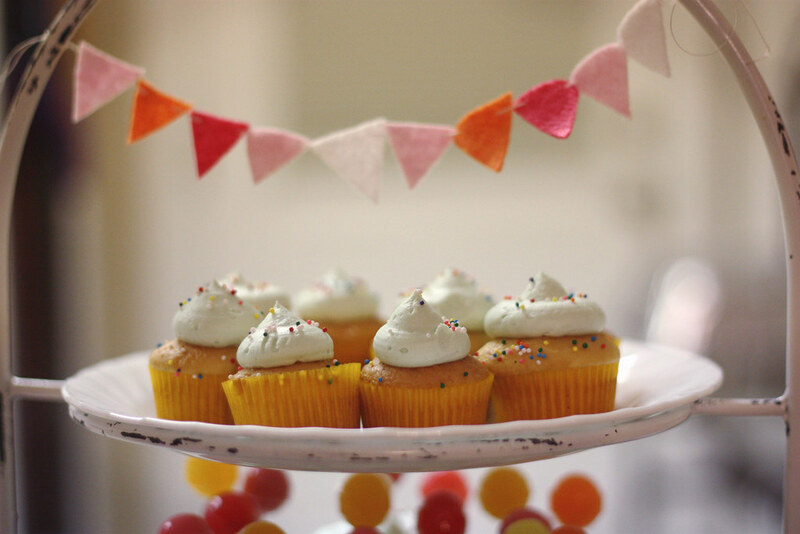 You should recruit yourself to be a baby shower host more often! 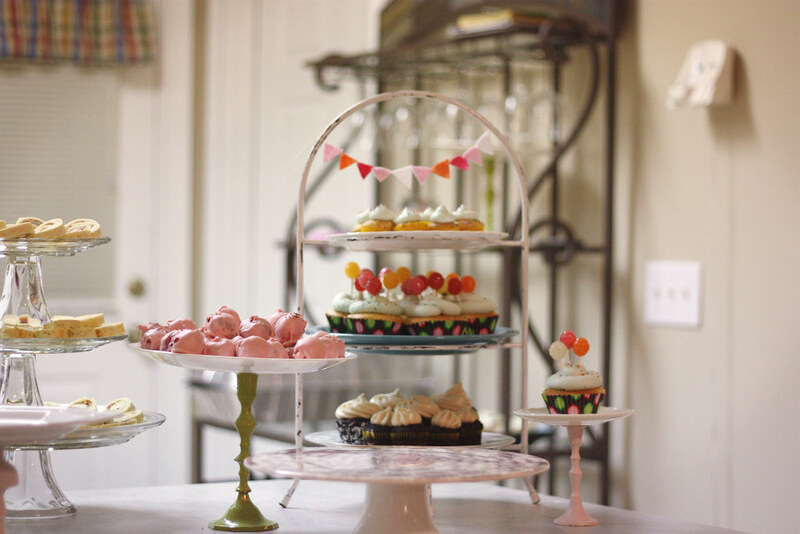 I love the little felt garland, and the cake stand is beautiful. And as for what's on the cake stand...yum! how did you get it all to look so perfect? colourful and happy, I like it! goodness gracious they all look magically delicious. Everything looks so perfect!! 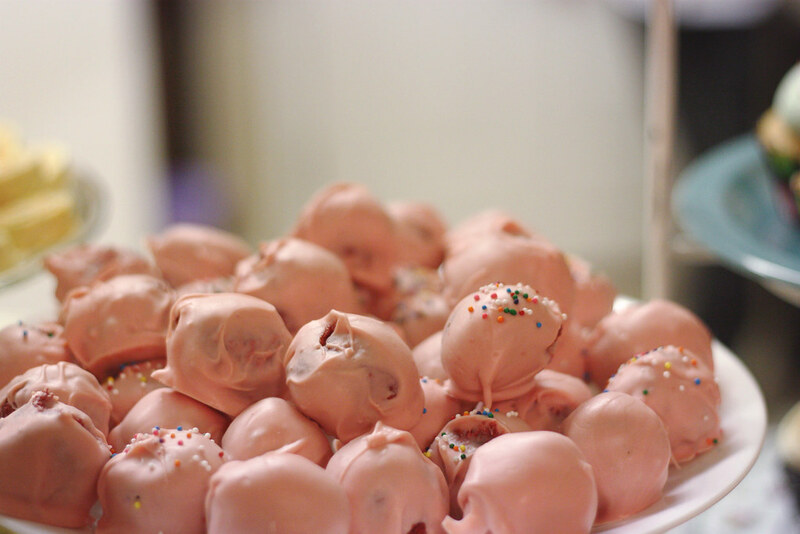 I want one of those red velvet cake balls pronto! I really love this post. Everything is so perfect. The desserts look sooooo good. Red Velvet Balls? I have to try that! Lovely lovely! 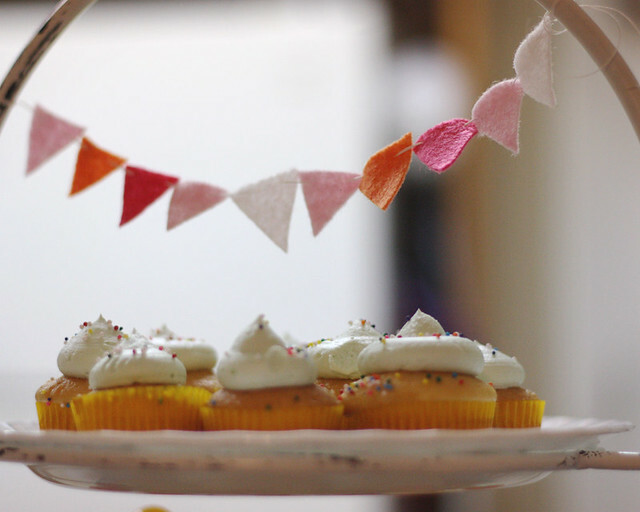 I will be hosting another baby shower in February and you've given me some great ideas. I just came across your blog (via tick tock vintage) and I love it. I really enjoy the variety in your posts! It's the same mix of stuff I enjoy posting about. I firmly believe we could be kindred spirits. I just found your blog today and so much of what you love, I love. 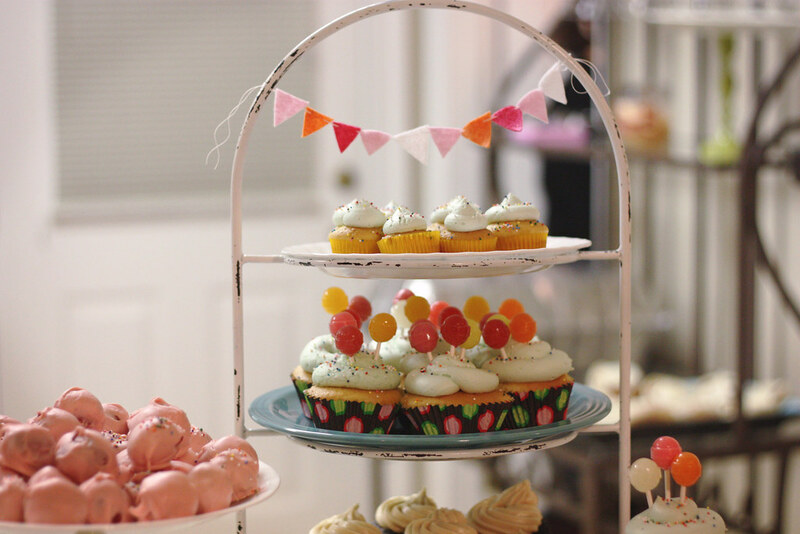 Such a great job on your dessert spread and set-up. Looks so happy.